Filet each chicken breast in half to create a total of 4 thin filets. Season chicken breasts lightly with garlic salt & pepper on both sides. Remove chicken to a separate plate & keep warm. 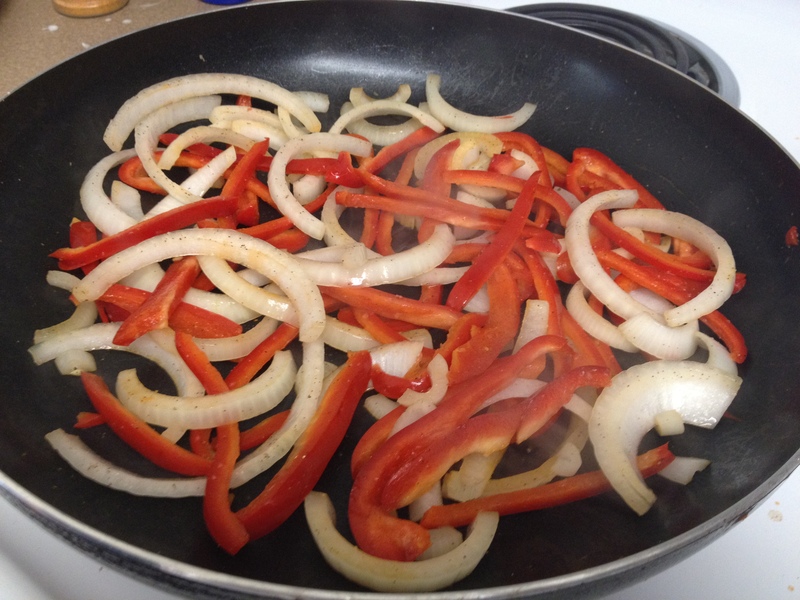 Heat a skillet to medium heat with cooking spray and brown onions & bell peppers until tender. 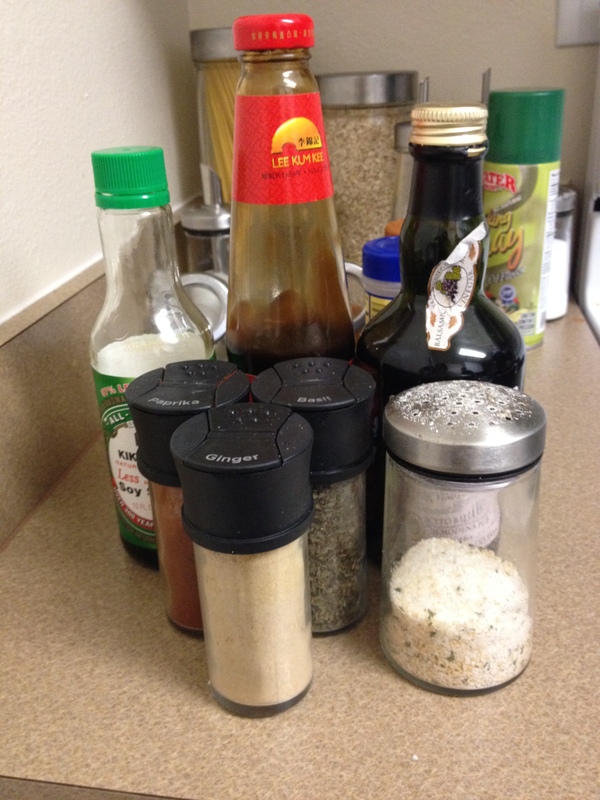 Then, whisk balsamic vinegar, soy sauce, chicken broth & all dry seasoning (except bottom 2) in a bowl. Combine cornstarch with 2 tbs hot water & mix until dissolved. Heat sauce pan on medium with cooking spray. Add sauce mixture & cornstarch mixture. Stirring constantly, bring sauce to a boil and remove from heat immediately. The sauce should thicken to a glaze consistency. Top chicken breasts off with vegetables & balsamic glaze.